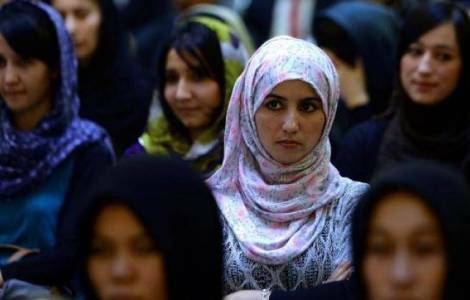 Kabul (Agenzia Fides) - "In the female universe of Afghanistan, awareness is underway: there is not much talk about it, but in Afghanistan the most active people are women, who are the bearers of a positive vision of the Country's future. They are very intelligent and have a more open mentality than men. They try to fight slavery with principles of freedom, which is different from libertarianism: all this is even more effective when there are local organizations or associations that support these initiatives. The future of Afghanistan is certainly in the hands of women". This is what Barnabite Fr. Giuseppe Moretti, missionary in the Islamic Republic of Afghanistan from 1990 to 2015, and first Superior of the "Missio sui iuris" established by the Holy See in 2002 said to Agenzia Fides. According to the Barnabite, the motivation towards the principles of integration and innovation nowadays carried out by Afghan women is an integral part of national history: "One can believe, with good reason, that if King Mohammed Zahir Shah managed to implement the program he had in mind, Afghanistan today would be one of the most open countries in the Middle East: the monarch had begun a process of modernization, almost of 'Westernization', but respecting Islamic culture, which would have made Afghanistan a vanguard country under all points of view. But the story went differently".